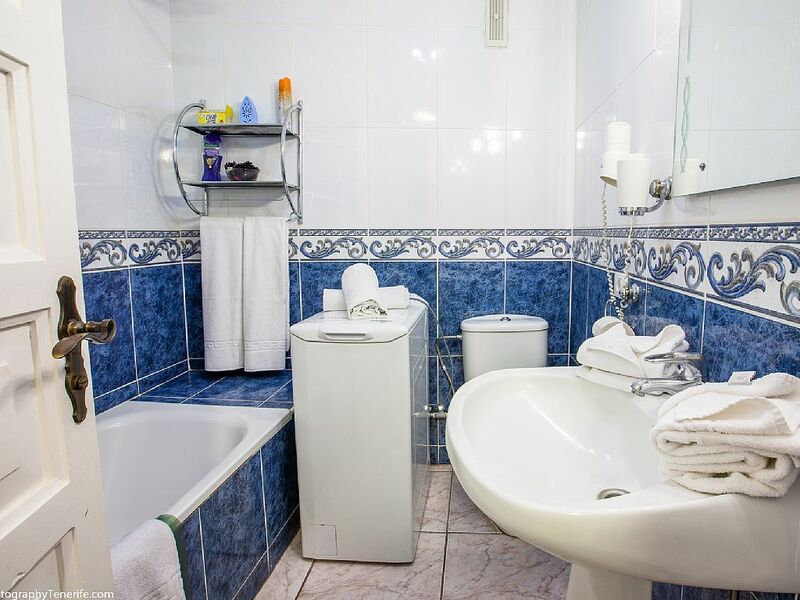 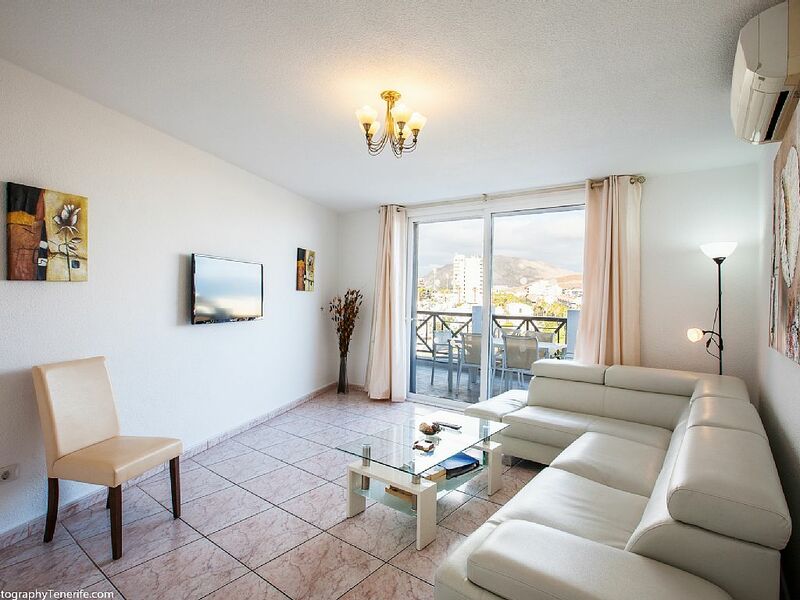 This recently refurbished duplex Tenerife apartment has three twin bedrooms, two full size bathrooms, and pull-out bed in the lounge. 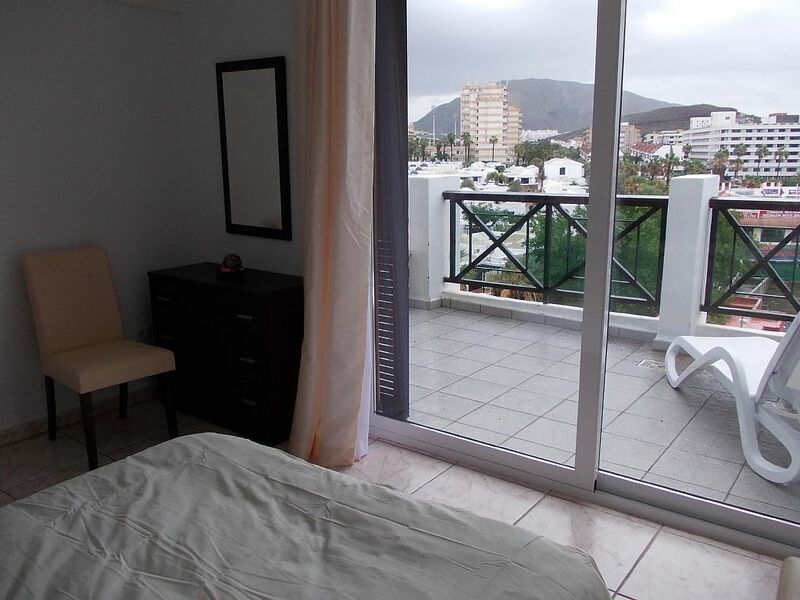 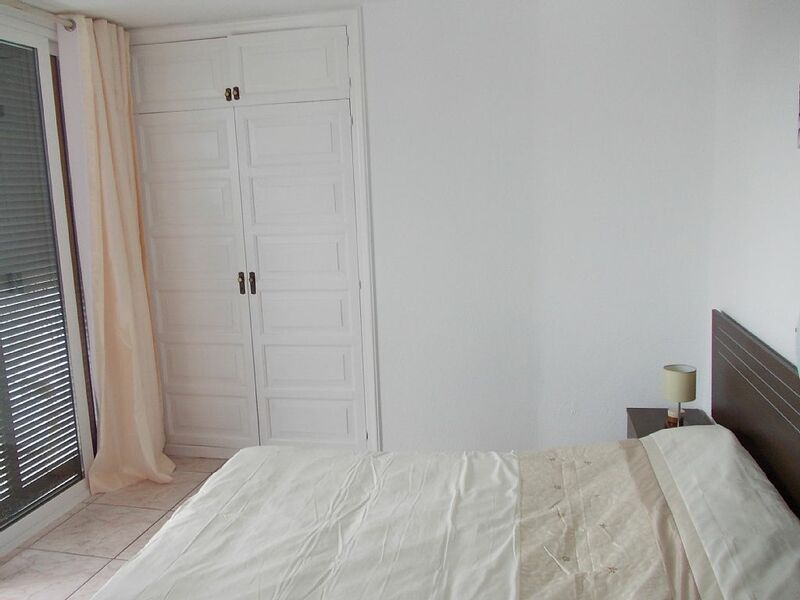 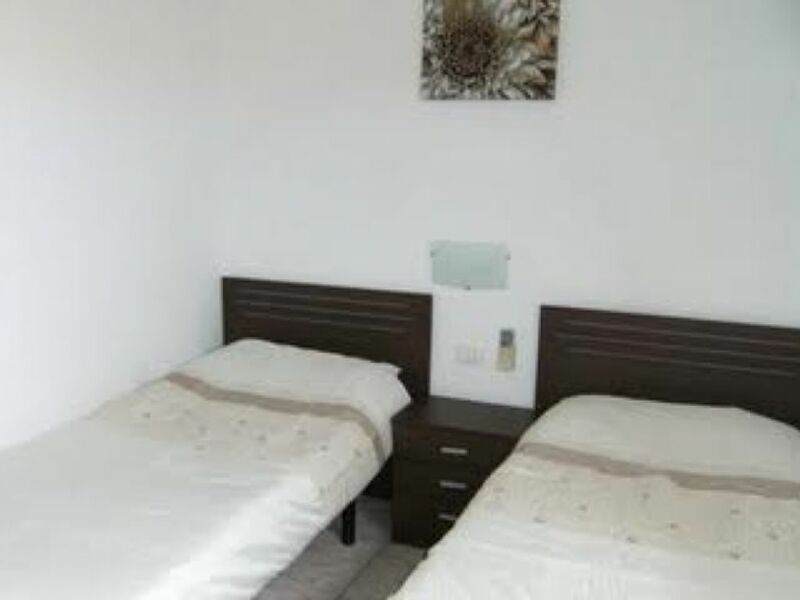 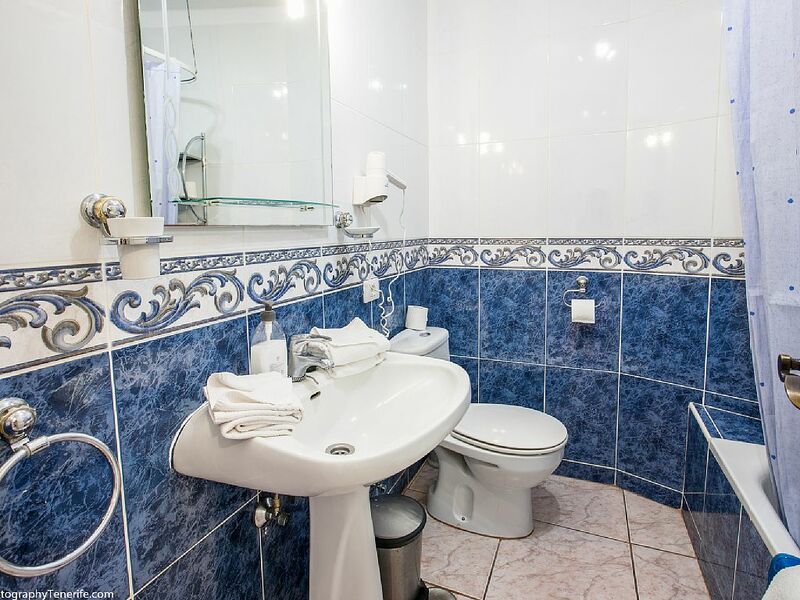 More details of this tenerife apartment: Safe in every bedroom. 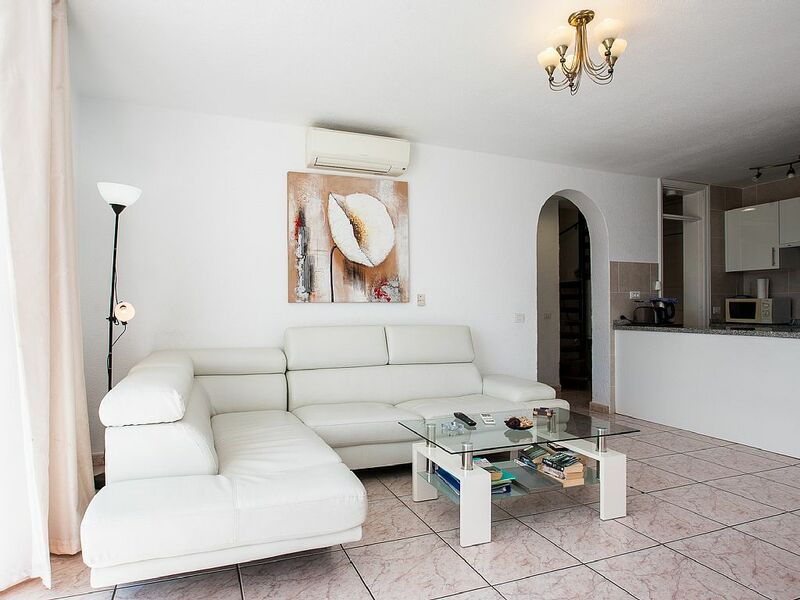 Coin operated air conditioning to all bedrooms and lounge. 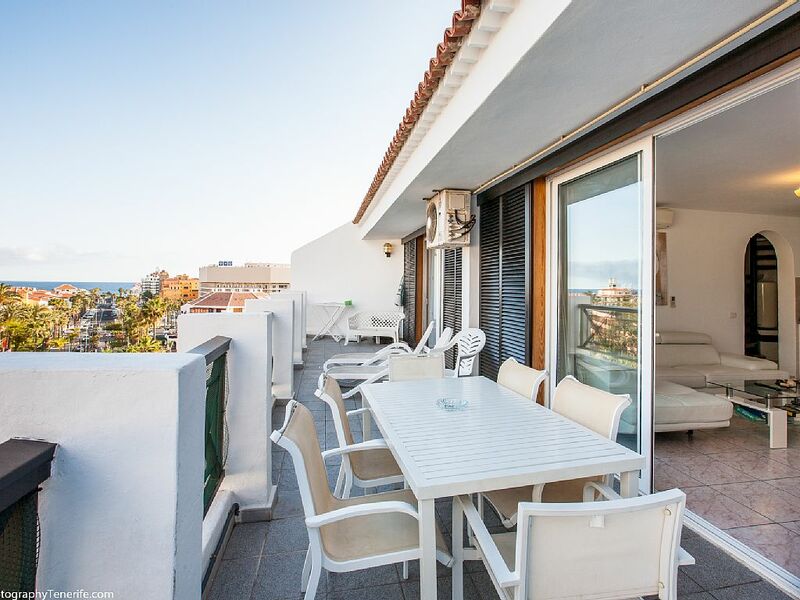 40 Foot Balcony with morning sun, views of the mountains and limited sea view. 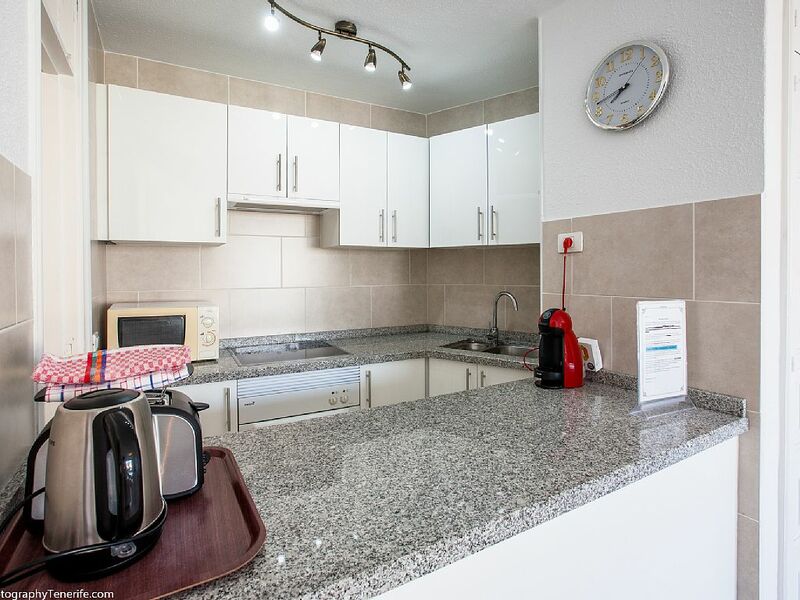 Kitchen has full oven, hob, microwave, juice maker & coffee maker. 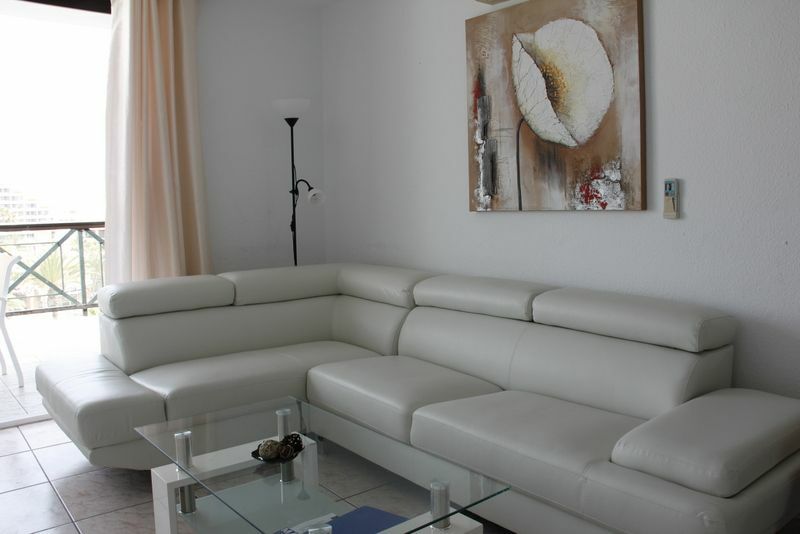 Lounge with satellite TV, DVD, Video, CD midi, dining table & 6 chairs. 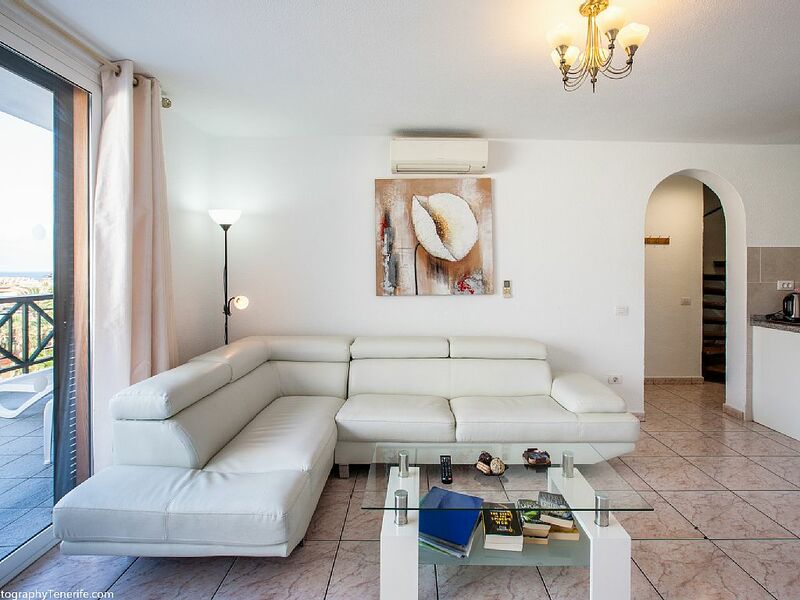 Iron & ironing board Patio has 2 x sunloungers, patio table & 6 chairs Fitted hairdryer in both bathrooms. 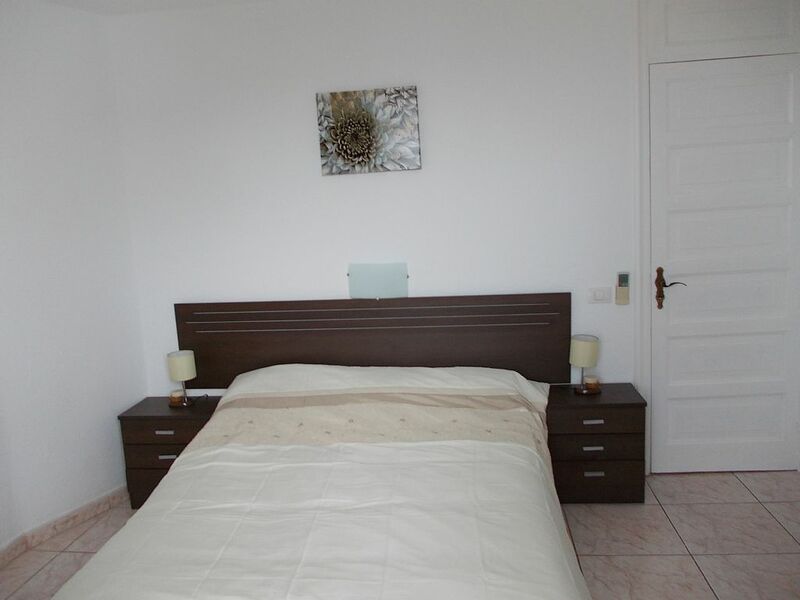 Two bedrooms and one bathroom upstairs, one bedroom, bathroom, kitchen, lounge and balcony downstairs. 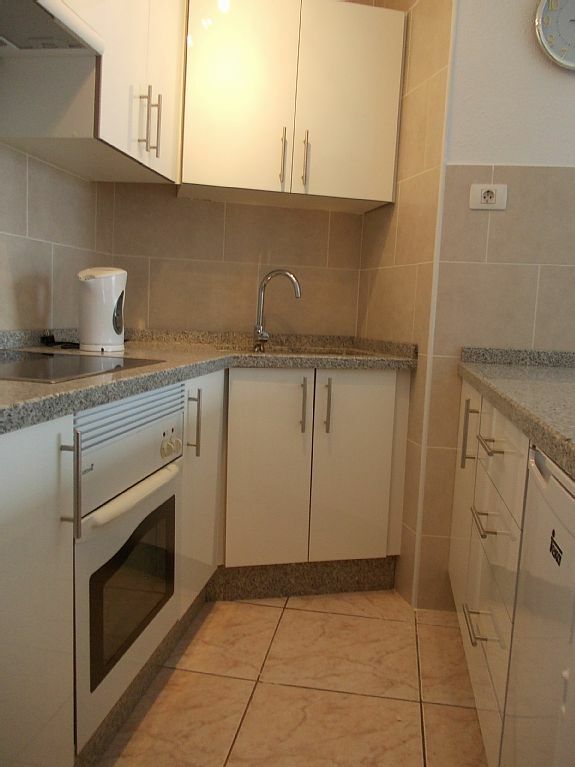 Accessible by a lift and no steps into the complex. 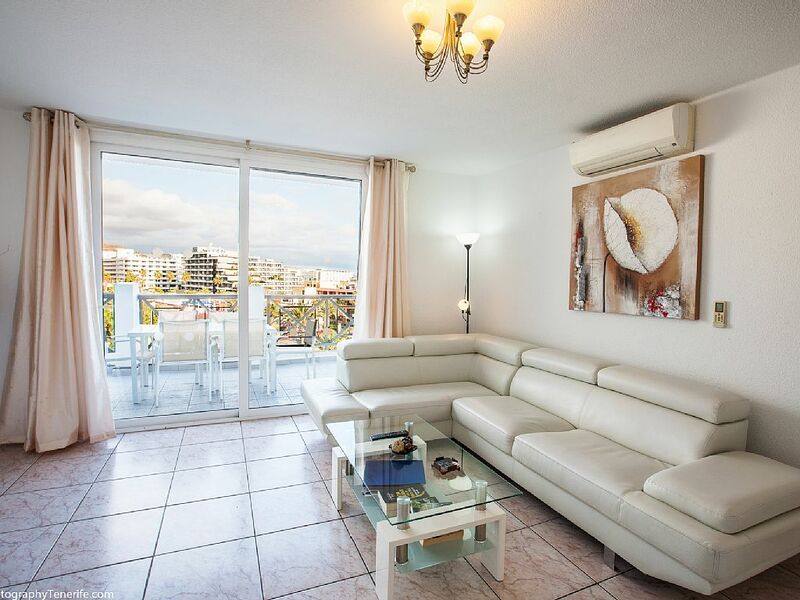 The Parque Santiago II apartments in Tenerife are suitable for families looking for a quiet and relaxing break in the sun, with the added advantage of being able to walk to many cabaret and entertainment bars in the area.